Is it fair for Shakespeare to overshadow Cervantes? - Readers Club - Craxme.com - Powered by Discuz! Craxme.com»Forum › Multimedia Zone › Readers Club › Is it fair for Shakespeare to overshadow Cervantes? [News] Is it fair for Shakespeare to overshadow Cervantes? ▼ Miguel de Cervantes and William Shakespeare died days apart, 400 years ago, each of them a giant in his own language and literary tradition. But a difference in the scale of quatercentenary celebrations in their respective countries and around the world is leading some fans of the author of Don Quixote to cry foul. While "all the world's a stage" for the British bard thanks to the rollout of the massive Shakespeare Lives programme of arts events around the globe, celebrations of the life of his Spanish contemporary are perhaps "more honoured in the breach than the observance". Shakespeare Lives aims to reach half a billion people worldwide - the first screenings of The Complete Walk, 37 short films to represent the complete body of the bard's stage plays, took place at the weekend. 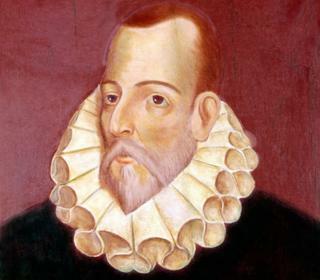 The Spanish government's action plan for Cervantes, on the other hand, seems far less ambitious... and leans heavily on exhibitions and conferences in big city museums and libraries. This has provoked some rather unchivalrous comments from bigwigs in the field of Spanish culture. "We've had 400 years to prepare for this," said Dario Villanueva, director of the Spanish Royal Academy, shortly after a letter from UK Prime Minister David Cameron introducing Shakespeare Lives was published in major newspapers around the world. "There are a few events lined up but the figure of Cervantes deserves a major gesture on the part of our top institutions." The Spanish Culture Ministry has admitted that the programme remains a "work in progress" and that some events will not emerge from the pipeline until 2017. But Spanish novelist and commentator Andres Trapiello, argues that the difference in the commemorations has a lot to do with the authors themselves, and how the public relates to them. "Sure, the state could have done more to promote the Cervantes event, but the fact is that Shakespeare is a much more popular writer," he says. "His works last two or three hours in the theatre and have been made into God knows how many films. Cervantes wrote a number of works but above all Don Quixote, a 1,100-page work which you need to read with thousands of footnotes." Trapiello describes the difficulty of reading the early 17th Century classic - often described as Europe's first modern novel - as a kind of albatross hanging around the neck of contemporary Spaniards, many of whom have come to associate the name of Cervantes with a negative cultural experience. "Everyone says they appreciate the importance of Don Quixote but there is this national frustration that they cannot read it. People get a complex about it," he says. "Every couple of years they sit down and say I am going to do it this time, but they get as far as the windmill story on about page 50 and give up." This story sees Don Quixote, a minor nobleman who imagines himself a knight errant, mistake windmills for hulking giants and charge them on his pathetic horse, Rocinante - it's the origin of the English phrase "tilting at windmills". A survey in 2015 revealed that only two out of 10 Spanish adults claimed to have read Don Quixote in full, and of these only half recognised the main character's real name, Alonso Quijano. The fact that Trapiello's translation of the book into modern Spanish sold 30,000 copies in its first year in print may indicate how much Spaniards long to get to grips with the book, and how difficult they find the original. Meanwhile, English-language films of Shakespeare's works have done a lot to popularise the bard in Spain. Jose Rivas, a 25-year-old IT engineer from Madrid, says the first thing that comes into his mind when he thinks of Shakespeare is "Kenneth Branagh". He reels off a list of plays he knows from the cinema, from Henry V to Much Ado About Nothing. By contrast, he has never read Cervantes, and was unaware this was a special anniversary year for the giant of Spanish letters. "I get the feeling that Shakespeare is truly admired in Britain, while Cervantes is almost being ignored here," says Lupe Estevez, a children's author. When she read Don Quixote as a schoolgirl she was surprised to discover how funny the book was. "I couldn't believe something like that could have been written in that era. But the way we treat Cervantes is so solemn and old-fashioned, in the TV and film versions there have been, for example. This generation has got it wrong in that sense. I hope to see a new approach for our children to enjoy." An elderly fan of chivalric literature, Alonso Quijano, decides to become a knight-errant and sets off in search of adventure on his aged mount, Rocinante. He thinks of himself as Don Quixote of La Mancha, imagines a farm girl is his lady love, Dulcinea, and a villager, Sancho Panza, is his squire. Panza's earthiness contrasts with Quixote's feverish imagination, but he too is fooled into thinking he has become the governor of an island. The novel's second part sees Quixote wrestling with the fact that he is now a famous literary character, thanks to the success of the first book. The man tasked with making 2016 in Britain the year of Cervantes, and not just Shakespeare, says much of the criticism is unfair. "What is the aim of an anniversary like this? It is more to promote the works and reach the average citizens than to make a lot of noise," says Julio Crespo, director of the London branch of the Cervantes Institute, the Spanish equivalent of the British Council. "You can spend a lot of money on celebrations that seem to be very impressive but don't really have a serious content." He is at pains to underline how much the writers have in common. It was because both writers were traditionally thought to have died on 23 April that this became World Book Day, he points out. Both have been translated into more than 100 languages. "They were different writers using different forms but both contributed to elevate the level of the language and culture to which they belonged in a similar way," he says. Trapiello, the Cervantes devotee, also declares himself to be an enormous fan of Shakespeare, citing the poetic richness of the English bard's verse. "Hamlet is my favourite play, but even in some of the weaker works, there are always amazing passages. For example, I don't rate Romeo and Juliet especially highly, but the leave-taking scene between the two lovers is of extraordinary quality," he says. Ultimately, Trapiello feels that Shakespeare's obvious dramatic qualities give his work a modern edge, which lends it more easily to film adaptations. "Quixote, on the other hand, is a series of small anecdotes. It does not translate at all into the language of cinema," he says. "All films about Quixote have tried to be funny and they have all failed."